There’s far more to SES than equipment hire alone. 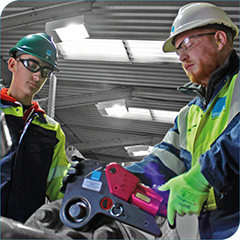 We are committed to adding value to every one of our contracts with a focused and proactive customer care programme that delivers inspired, individually-tailored equipment management solutions. Our expert team have an average of 10 years’ service experience combined with intimate knowledge of, and close collaboration with, manufacturers and other suppliers. That differentiates us as the market leader in equipment management and rental solutions. Employing around 50 people across our two locations, our skilled equipment analysts and top class management team are well renowned for working closely with clients and suppliers.